Do you have a knack for learning about new technologies? Do you love the digital world? Here are the Best Online Bachelor’s in Computer Science! Computer Science is a leading industry that is behind the biggest research and innovations in our modern world. With each year, science and technologies continue to evolve, grow, and thrive as consumers continue to demand faster, better, and stronger machinery and operating systems to power their lives. More and more creative minds are needed to help discover new technologies that can be implemented throughout industries and across our lives. A Computer Science degree trains students in the digital languages. From Java and C++ to OpenGL and Octave, you’ll need to have a strong grip on science and mathematics to succeed in this field. This degree will teach you to understand why computer programs work and how certain algorithms can be used to manipulate and transfer information. While some may think a degree in Computer Science means you’ll be tied to a computer for the rest of your life, that’s not the case. From movie animation and programming, to building and designing business applications, there are tons of exciting opportunities in this field. Other top jobs for computer science graduates can include: Research Scientist, Big Data Analyzer, Mobile Application Developer, Software Architect and Developer, and Healthcare IT. How much can you earn with a Computer Science degree? With a bachelor’s degree in computer science, Computer and Information Research Scientists earn an average of $114,520 annually. Of course, your earning potential is dependent upon your education, what industry you work in, and in what city you choose to work. Choosing an area of specialization will further increase your value to potential employers. According to the Bureau of Labor Statistics, employment of computer and information research scientists is projected to grow 19 percent from now to 2026! Computer scientists are likely to enjoy these excellent job prospects because many companies have trouble finding such highly skilled workers in this field. What is required for a Computer Science degree? Many of the below programs require applicants to have either an associate’s degree or some college credit. You don’t necessarily need to have a background in computer science, but you should have a strong understanding of science and mathematics. Undergraduate GPA prerequisites range from 2.0 to 3.0. We have compiled a list of the 30 Best Online Bachelor’s in Computer Science Degrees. Our ranking system is first based on the quality of the program, as indicated by student engagement, and faculty credentials. This score includes student-to-faculty ratio, graduation rates, and faculty experience and training. Oregon State University’s School of Electrical Engineering and Computer Science now offers a 60-credit hour Online Bachelor of Science in Computer Science. As a student in this post baccalaureate program, you will only take required computer science courses. OSU Ecampus students have access to library services, free online tutoring and career guidance. This online Bachelor of Science degree in Computer Science is a 120-credit program and all students must complete at least 30 credits at ODU. Some classes will have live, regular online meeting times, while others are taught in an asynchronous format. Graduates of this program pursue careers as computer programmers, web developers, database architects, and more. The University of Florida Online now offers a BS in Computer Science degree through its College of Liberal Arts and Sciences. This program provides not only a foundation in computer science but a strong liberal arts education as well. Prospective students can apply for Spring, Summer, or Fall start dates. Students can now pursue an online Bachelor of Science in the field of Computer Science through the University of Illinois at Springfield. This 120-credit hour program requires applicants to have two semesters of Java Programming Experience as well as one semester of calculus and statistics. You may choose an emphasis in software engineering or systems security and information assurance. Through its distance program, Florida State University now offers an online Bachelor of Science degree in Computer Science. Students will follow the same 120-credit hour curriculum that those pursue on-campus. This degree can be completed in two years by full-time students and four years by part-time students. The online Bachelor of Science degree in Computer Science at Dakota State University is a 120-credit hour program. Undergraduates can pursue the “4+1 program” which allows a head start towards an MSACS or other graduate degree. All computer science professors at DSW have a Ph.D. in computer science. Part-time students pay more per credit hour. 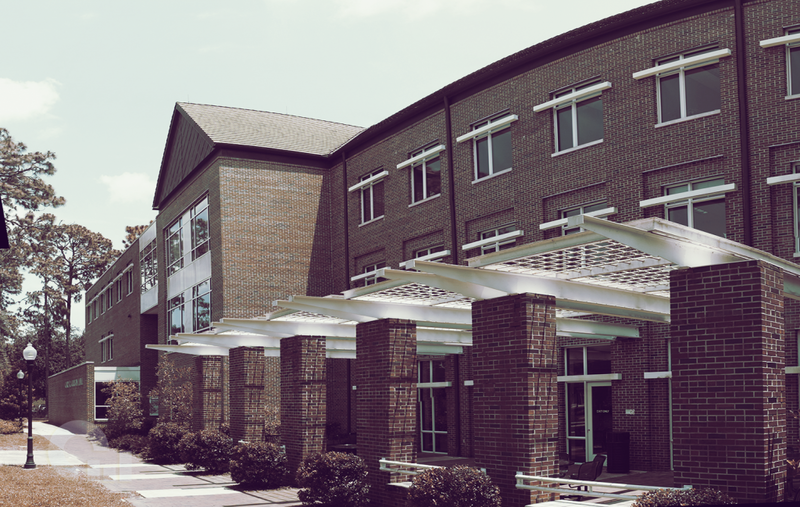 Through its College of Arts and Sciences, Regent University offers an online Bachelor of Science in Computer Science. This fully-online program is made up of eight-week course sessions and 120-credit hours. Students may complete the degree full-time or part-time. The College of Computer and Information Sciences at Regis University offers a completely online Bachelor of Science in Computer Science. Students are required to complete 128-133 credit hours with an optional minor in mathematics. You may choose from one of three concentrations as well, including Computer Science, Computer Information Systems, or Information Technology. Fort Hays State University now offers a 120-credit hour Bachelor of Science degree in Computer Science, completely online. Some required courses include Object-Oriented Programming, Computer Graphics, and Back-End Web Development. Graduates have gone on to work at various federal agencies and private companies. Through its College of Arts and Sciences, Lewis University now offers an online accelerated Bachelor of Science in Computer Science. This flexible 128-credit degree is made up of eight-week courses. Students may choose from a variety of concentrations, including Game and Simulation Programming, Cyber Security Operations, Pervasive Computing, Computational Theory, Data Science, and Networking. Troy University now offers an online Bachelor of Science degree in Applied Computer Science. Students must take 48-credit hours within the major to earn their degree. Required courses include Analysis of Algorithms, Nature of Programming Languages, Applied Discrete Mathematics, and more. Lamar University offers a 120-credit online Bachelor of Science degree in Computer Science with start dates in the Fall, Spring, Summer, and Winter. This broad-based program includes required courses in computer science, math, laboratory science, and free electives. Students typically complete this program in four years. 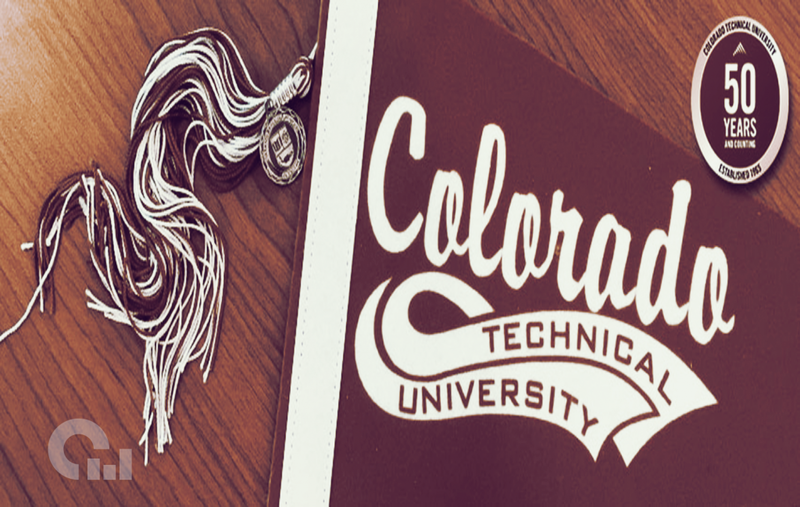 Through its online division, Colorado Technical University offers a 183-credit Bachelor of Science in Computer Science. Students may pursue a general track as well as concentrations in cybersecurity engineering, data science, and software engineering. You can complete your degree up to 30 percent faster with CTU Fast Track™ which lets you earn college credit for what you already know. The online Bachelor of Science in Computer Science at National University provides undergraduate students with a strong technical background. All students must complete at least 180 quarter units, including at least 70.5 units of General Education requirements. National University also offers a Computer Science/Master of Science in Computer Science Transition Program for interested students. Davenport University offers an online 120-credit Bachelor of Science degree in Computer Science with an optional minor in mathematics. Davenport offers three specialties to choose from including Artificial Intelligence, Gaming and Simulation, and Computer Architecture and Algorithms. The program’s strong business foundation gives students the edge needed to land jobs at Google, Apple, Microsoft, and other prestigious companies. Through its School of Computing and Design, CS Online offers a Bachelor of Science degree completion program in Computer Science. With cohorts limited to 25-35 students, you’ll receive the individualized attention you need to succeed in this field. Additionally, you’ll participate in regular video conferences with faculty, teaching assistants, and classmates. The 120-credit online Bachelor of Science degree in Computer Science from University of Maryland University College will teach you Java, C++, OpenGL, Octave, and MATLAB. This program can help prepare you for certification exams in Microsoft Certified Solutions Expert and Oracle Certified Java Programming. Applicants should have previous professional programming experience. Saint Leo University offers a 120-credit online Bachelor of Science in Computer Science with a required specialization in Information Assurance. Saint Leo also offers an online Computer Science Association Club for students to network with others remotely. Graduates of this program have gone on to work at Verizon, Bisk Technologies, IBM, and many more prestigious companies. Offered through Thomas Edison’s Heavin School of Arts and Sciences, the BA in Computer Science is for students interested in a strong liberal arts program. Made up of 120-credits, including a liberal arts capstone, this program will provide you with a solid foundation in computer science. You may transfer up to 80 credits from a two-year institution. The Bachelor of Science in Computer Science is now offered through Concordia University’s online division. This 55-credit hour degree program is made up of seven-week courses to prepare you for careers like web developing, computer programming, and more. All students are also required to complete a computer science capstone. Limestone College now offers a 123-credit online Bachelor of Science in Computer Science with a Concentration in Programming. This program provides students with a strong foundation in programming, systems administration, security, and architecture. You may choose to complete this program part-time or full-time. Students at Central Methodist University can now pursue an online 120-credit degree in Computer Science. All students in this program must complete both a Senior Thesis and a Science Seminar Capstone to earn their degree. Online classes at CMU run either 8 or 16 weeks, depending on the courses you choose. Mercy College now offers a 120-credit online Bachelor of Science in Computer Science through its School of Liberal Arts. This comprehensive program helps students develop a balanced foundation of knowledge and skills necessary to succeed in this growing industry. Students in this program must also complete a senior capstone project. The Baker College of Information Technology now offers a Bachelor of Science in Computer Science with a Concentration in Computer Programming. Students must complete 120-credit hours, including 71 hours within the major and 30 hours of general education. Required courses may include Java Programming, Big Data Analytics, Artificial Intelligence, and more. Auburn University’s Department of Computer Science and Software Engineering now offers an online Bachelor of Computer Science degree with just 20 required courses. Courses can be taken asynchronously and you’ll have access to the same resources and services as those on-campus. Applicants to this program must have at least 60 prerequisite credits with a minimum 2.5 GPA. DePaul’s College of Computing and Digital Media offers a degree completion program for transfer students who wish to pursue an online BS in Computer Science. You may choose a concentration in Game Systems or Software Development. The CS degree at DePaul also has two capstone experiences for students to complete prior to graduation. 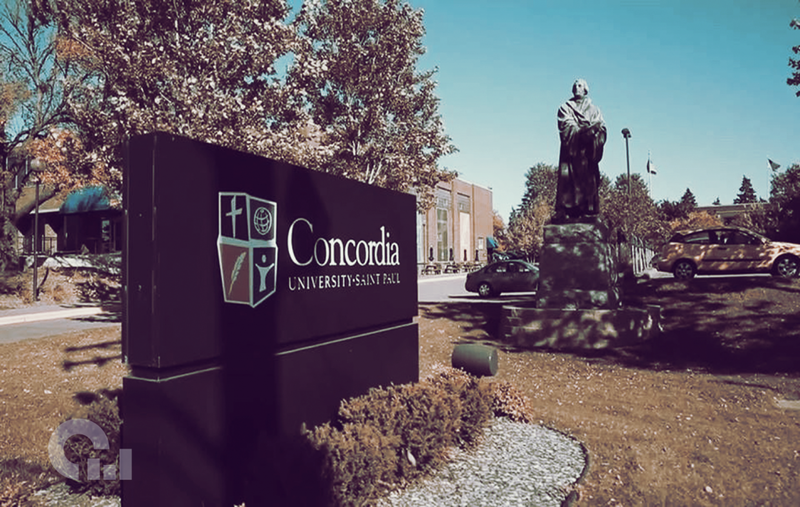 The online Bachelor of Arts in Computer Science at Concordia University is a 128-credit program with each course lasting just eight weeks. Though this degree is rooted in liberal arts, other learning topics include computer systems, programming languages, and software engineering. Intended for working professionals, Concordia offers classes all year to fit your scheduling needs. Southern New Hampshire University now offers an online Bachelor of Science degree in Computer Science. Through this 121-credit program you can become fluent in many of the programming languages, including Python, Java, and C++. SNHU allows you to take classes at your own pace and you can choose a concentration in either Information Security or Software Engineering. Through its online BS in Computer Science, Lakeland University prepares students with a practical background in programming and data management. All students must choose one of the following areas of emphasis: Computer Science, Information Systems, or Software Design. Intended for working professionals, Lakeland allows students to learn on their own time with no set login times. Franklin University offers a 124-credit online Bachelor of Science in Computer Science with a solid grounding in software development. Franklin’s program is language independent, meaning you’ll learn widely used languages and build industrial and reusable software components with cutting-edge Java technology. This program also includes a required capstone project.